A Brief History of Marathon Racing in the City of Philadelphia: The Marathon (26.2 miles) Event has been run in the City of Philadelphia for over 90 years. There were a number of running clubs in Philadelphia since the early 1900s (mainly connected to neighborhoods and Catholic Church clubs) and connected to the AAU (American Athletic Union). There where many handicap races each week and any race over 6 miles was often referred to as a "marathon". Many of the early marathon (26 miles) races were organized by a local athletic club (such as The Shanahan Catholic Club) and officiated by the AAU and would be run by some of the best distance runners in the country from Boston, New York and the world (Finland) would travel to run against the best local distance runners. Even though Philadelphia does not have the history of a Boston Marathon (run continously since 1896) there is a long history of "The Marathon" being run in the City of Philadelphia. Many of the early marthons were not organzed by the City and therefore have different titles. It was not until 1994 did City of Philaelphia fully organize the marathon and was called the "Philadelphia Marathon". For this history of the Marathon in Philadelphia, all Marathon's held in the City will be included and refreded to in the Philadelphia Marathon Champions List. The first marathon race connect to the City of Philadelphia was in 1926 and known as "Sesquicentenial Marathon", to celebrate the 150th anniversery of our Independence Day in the USA. The race was started in Valley Forge and finished in Munciple Stadium (JFK Stadium). The route was east down Rt 23, through West and South Philly and finished down Broad Street to the stadium. Some of the best runners in the world competed (1920 Olympic Champ from Finland dropped out at mile 11). Over 25,000 spectators waited for the runners in the stadium to see them finish. Long time organizer of the Boston Marathon (Jock Semple) who was living in Philadelphia at the time finished 11th place. 1953 started a long string of Marathon Races organized in the City of Philadelphia. The 1953 race was known as Valley Forge/Wolf Clinic Marathon.32 started (30 finished) the 26 mile trek from Center City Philadelphia (City Hall), up the Ben Franklin Parkway, up West River Drive, around Belmont Plateau, up thru Germantown and finished in the Plymouth Meeting area at the Wolf Heart Clinic. All the runners were part of a study to see the effects of Marathon racing on the heart. The event was an official race under the guidance of the AAU. Dr Charles Robbins (NY Pioneers) won in 2:26:28, Ted Corbitt was 2nd. Well known local runner and long time coach, Jack Saint Clair(Penn AC), finished 4th, and Jock Semple (Boston AA) finished 23rd in 3:26. From 1954 to 1965, the Shanahan Catholic Club organized the Annual Marathon race in Philadelphia. The race was 26 miles and was known as the Shanahan Marathon. It was officiated and sanctioned by the Mid Atlantic AAU and acted as the Mid Atlantic Championship. In 1960 and 1961, Atlantic City hosted the AAU Marathon Championship and therefore Philadelphia did not have a marathon race during that time. The course for the Shanahan Marathon was all in the City of Philadelphia. Start and finish was at the Shanahan Club (42nd and Lancaster Ave), travelled a 6.5 mile loop from the clubhouse thru West Phila to around Belmont Plateau, to City Line Ave, to Belmont Ave, and back to the clubhouse. The race was run in January and runners ran the race entirely on the sidewalk and respsonsible for crossing streets at the corners. Many top runners and Olympians, along with top running clubs from the east coase (Boston AA, Millrose TC, Penn AC, Shannahan, Meadowbrook, Delaware Valley) competed. Long time Villanova asistant coach, Jack Pyrah, was the organizor of the annual Marathon until 1964. During this period there was also a marathon "team champion" with top 3 runners on each team scoring. 1965 saw a change in the "Philadelphia Marathon" course and organization. The course moved from West Philadelphia to the Schuykill River Loop. The race date also changed from January to November for the annual event. The race started and finished on Boathouse Row and ran 3 loops on the River Drive. The race was known as the Rutherauff Marathon from 1965 to 1969. The Marathon drew about 50-150 runners during this time with a few Boston Marathon winners (Amby Burfoot and John Kelly) winning 26.2 mile race on the Schuykill River. The race organization switched again from 1970 to 1975 with the Penn Athletic Club overseeing the race on the Schuylkill River. The race during this time was known as the Penn Athletic Club Marathon and also called the Philadelphia Marathon (Refered to as the Philadelphia Marathon in 1970). 200-300 runners were generally the partipation level for the race. The most famous winner of the Philadelphia Marathon (Bill Rodgers/winner of the best marathoners of all time, won the race on a cold, rainy raw day on the Schulykill River in 1974. (4 months later he won his first of 4 Boston Marathons). In 1976, with the US Bicentenial, there saw a shift in the organization of the Marathon. With the birth of the "Running Boom" in the US, participants (and women) in the Marathon were increasing and it was becoming difficult for a local running club to organize the event. The Fairmount Park Commission started becoming involved along with sponsors to organize and manage the Marathon. In 1976, the race was still run on the sidewalk of the Schulkill River, but was known as the "Bicentenial Marathon" that year and nearly 500 runners competed. By 1978, over 1000 marathon runners were squeezing onto the River loop sidewalk course and there was a period of time in 1979 and 1980 when Philadelphia had 2 Marathon races (within 2 weeks of each other. One was known as the Provident Marathon (run on the 2nd week of November and the other won was known as the Schlitz/Miller Lite Marathon, held in the 4th week of November. There waas often a team championship associated with the Philadelphia Marathon up until about 1980s, with the winning club often won by Penn AC, Shanahan CC, or Philadelphia AC. The team score was a cross country style scoring for the first 3 finishers of the club to finish. The Provident Marathon was a huge undertaking, starting in Ambler, Pa and ran a route down Germantown Pike in the suburbs, up a major hill in the Chestnut Hill section of Philadelphia, down Lincoln Drive, thru south Philly and finished near Independence Hall. The Provident Marathon drew close to 5,000 runners by 1981. The Schlitz /Miller Lite Marathon in Philadelphia lasted for 2 years and stuck with the Schuylill River Loop sidewalk course and drew about 1300 runners at it's peak. The Provident Marathon "won out" and was the only Marathon in Philadelphia from 1981 to 1987. The name of the race in this era was the Independence Marathon. The race course changed from a point to point course during this time with the start and finish at Memorial Hall in West Philadelphia before the organization of the race once again changed due to lack of the big sponsors needed to have a major marathon.Private race organizers such as Chris Tatreau and Tom Sanders, produced and directed the Provident and Schlitz/Miller Lite Marathons , but were able to optain major sponsors to continue the growth of hosting a "big time" marathon race. From 1988-1989, the race went back to the Schuylill River and was overseen by the Fairmount Park Commission. Numbers dropped back to about 1000 and the title of the race during this time was "The Fairmount Marathon". The Marathon returned to it's 1960 roots and run on a lower profile with the River Loop course. 1990-1993 saw a period of time where there was no organizing group willing to take on the scope of putting on The Marathon until the City of Philadelphia saw the need of having a major race in the city. Many other smaller cities in the USA hosted a Marathon and the first official "Philadelphia Marathon" was started in 1994. From 1994, the City of Philadelphia has oversaw the production of the Philadelphia Marathon. In 2016, the Dept. of Parks and Recreation took over the production with Jim Marino (Parks and Rec and Race Director of the Broad St Run) serving as race director. The course has varied some since then, but for the most part started near the Art Museum, run the first part of the race towards the Delaware River, west on Chestnut St to the Zoo area, around Memorial Hall, up West River (MLK) drive , past the Art Museum, west on East River (Kelly) to Manayunk, returned to and finished at the Art Museum area. The race is currently held on a Sunday with a seperate Half Marathon and 8k race on Saturday with numbers in the marathon over 8,000 competitors. Below is a list of race champions who have run Marathons associated with the City of Philadelphia. ** The Penn Relays (April) had organized a Marathon with the week long Track Carnival (from 1973-1982) but is associated with The Penn Relays and their champions are not listed with the "Philadelphia Marathon" list. 1926 CLARENCE DeMAR (Melrose, Ma) 2:42:05 DeMar was 7x winner of Boston Marathon. Race celebrated US Quincentenial. 1953 DR. CHARLES ROBBINS (NY PIONEERS) 2:26:28 Ted Corbitt (2nd), Jack Saint Clair (4th). Runners where part of medical study. 1955 JOHNNY J KELLEY (Conn.) 2:25:23 Kelley "The Younger" was Boston Marathon and ICAAAA Cross Country Champ. 1956 JOHN JOE BARRY (Pa/ Scotland) 2:36:09 Barry was Villanova great XC and track champion. 1960 NO MARATHON WAS HELD IN PHILA Shanahan CC held the Senior/Mid Atlantic AAU Marathon in Atlantic City 1961 NO MARATHON WAS HELD IN PHILA Atlantic City was the venue for the Shanahan CC Mid Atlantic AAU marathon 1962 TED CORBITT (NY, NY) 2:33:13 Corbitt wins the title for the 4th time. John Joe Barry finishes 2nd. 1963 ADOLF GRUBER (AUSTRIA) 2:39:49 Race was run in the snow on cold and slushy course. 9 Started/ 7 finished 1964 ADOLF GRUBER (AUSTRIA) 2:20:05 Gruber broke Johnny Kelly course record of 2:25:23 for the 4 x 6.5 lap course 1965 JOHN KELLY (NY) 2:37:23 The 6'2" landscaper from Milrose AA finished 1:42 ahead of Ted Corbitt. 1975 CARLO CHRUBINO/LARRY FREDERICK 2:26:12 Race ended in a tie for only time in Phila Marathon history. 1979 RICH HAYDEN (USA) 2:30:06 Hayden was in Villanova Law and was an All Catholic runner at Arch Carroll HS 1980 WILLIAM SCHOLL (MANASQUAN, NJ) 2:22:59 Scholl broke the 3 Loop Schuylkill River Loop Record with this race finish. 1980 WILLIAM DEVOE (NY,NY) 2:26:18 Rich DiSebastion (2x winner) finished 2nd place to Devoe. 1981 DAVE PATTERSON (NORRISTOWN, PA) 2:17:25 Patterson local running champ and HS Princible. Race started in Ambler. 1982 WILLIAM SCHOLL (Shore AC/NJ) 2:14:59 Scholl's time was a Pa. State Marathon Record Time. 1983 SAM PELLETIER (West Point, NY) 2:15:26 Pelletier was a 25 year old captain in the Army in 1982. 1984 DERICK "RINGO" ADAMSON (JAMAICA) 2:16:39 Ringo was 4x Olympian for Jamaica, ran for Glassboro State. 1995 MARK ANDREWS (Chapel Hill, NC) 2:20:15 Andrewss was former NC State runner. Former Champiion Chuck Crabb 7th 1996 NIKOLIC SRBA (YUGOSLAVIA) 2:19:55 Former Champion Ira Meyers finishes 18th in 2:42:30. 1997 GAVIN GAYNOR (State College, Pa) 2:19:03 Local Phila Runner and Bryn Mawr Run Co Founder, Bob Schwelm 3rd place. 1998 RYAN GROTE (Millington, NJ) 2:24:12 Grote ran for the University of Portland, Oregon. 1999 TESFAYE BEKELE (ETHIOPIA) 2:25:46 Bekele won the race under unusually Nov. hot conditions: 67 degrees and sunny. 2000 BRIAN CLAS (ITHICA,NY) 2:18:03 Clas won his first marathon by over 5 min over Andrey Shalagin (Russia). 2001 GENNADIY TEMNIKOV (RUSSIA) 2:21:07 Temnikov, 40 years old, was winner over Kenyan favorite, Over 5000 finished. 2003 JOSEPH NDIRITU (KENYA) 2:16:47 Ndiritu won over Kamindi (Kenya) and local runner Ed Callinan (Cherry Hill). 2004 MICHAEL KORIR (KENYA) 2:19:43 Korir returns to the winner's podium after 7th place finish in 2003. 2005 JOSEPH NDIRITU (KENYA) 2:21:02 Ndiritu finished 1:50 over Joshua Koros (Kenya) to collect $3500 for the win. 2007 TIMOTHY PSITET (KENYA) 2:25:01 Psitet, trains in NY and had to battle 35 cold and wind to win the race. 2010 DANIEL VASSALLO (Wilmington,MA) 2:21:28 Vassallo had finished 2nd in half marathon (2008) and overcame sport hernia. 2011 FOLISHO TUKO (ETHIOPIA) 2:19:16 Tuko held off a late charge by Kevin Pool (Calif) to win by 6 seconds. 2014 DAN VASSALLO (Peobody, Ma.) 2:17:28 Vassallo returned to winners circle and also qualified for the US Olympic Trials. 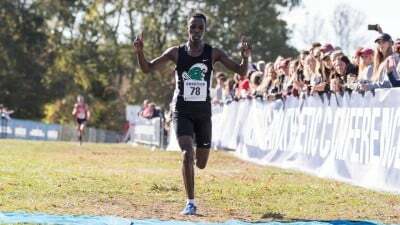 2018 TADESSE YAI DABI (ETHIOPIA/NY) 2:14.46* Dabi comes from behind and takes lead in last 800 meters to win and set a new CR. ** In 1971, the AAU East Region Marathon Championship was held in Philadephia on the Schuylkill River Loop course. The race also served as the Pan Am Games qualifier. It was won by Herb Lorenz (Woodbury, NJ) who set the course record of 2:23:46. Even though it was not an open "Philadelphia Marathon", it is worth noting on this list of marathons in Philadelphia since it was a marathon held in the city and also won by a local great area runner. 81 starters in the race * Philadelphia Marathon men's record. 1971 KAY CAMBELL (Central Jersey TC) 3:13:29 Only women to finish. She finished 71st out of the 215 who started the race. 1973 NIKKI KILGORE (Ithica, NY) 3:27:00 Kilgore finished 105th out of 300 finishers on a warm and rainy day on river. 2013 IRENA ALEXANDROVA (RUSSIA) 2:39:06 Alexandrova's agent (Mikhailova) had won the Phila Marathon in 2004 2014 LEONORA PETRINA (Long Island,NY) 2:39:59 Petrina orginally from New Zealand was running her first marathon. 2015 GISELA OLALDE (MEXICO) 2:40:05 Olade beat out Margaret Vido (former Penn runner) for the marathon win. 2016 TAYLOR WARD (Auburn, Alabama) 2:36:25 Ward's first visit to Philadelphia won on a very cold and 30 mph wind gusts. 2017 SARAH KIPTOO (New Mexico/kenya) 2:38.14 Kiptoo won by over 2 minutes over Hellen Jemutai and 3200 women finishers. ** The AAU East Region Marathon Championship (Pan Am Qualifier) held on Schuylkill River Loop in 1971. Beth Bonner was an 18 year old Brandywine JC runner, ran USA best marathon time of 3:01:42 in this race. Even though it was not a "Philadelphia Marathon" it is worth taking note of it in marathon's list in Philadelphia. Bonner finished 21st overall out of 81 starters. BRIEF HISTORY OF THE PENN RELAYS MARATHON: The University of Pennsylvania has been hosting the longest running and largest track carnival since April 21, 1895. James Tuppeney, the longtime track & field coach and race director of the Penn Relays descided to add to the size of the 4 day meet by adding a Marathon to the list of track events. The 26.2 mile race was added to the Penn Relays in 1973 and was run on Tuesday (first event) on the 3 loop Schuylkill River Loop with the start and finish at Plaised Boathouse. It was open to all but many college runners at the time competed in the race. In the first Penn Relays Marathon, 55 runners started and only 29 finished the race that was run mid day on a hot and sunny April day. 1973 EILEEN DISKIN/CHERRY HILL, NJ 4:00:34 Diskin was only women to finish. She is a elementary school teacher. 1974 EILEEN DISKIN/ CHERRY HILL, NJ NA Diskin only women out of 105 finishers. 1975 EILEEN DISKIN/CHERRY HILL, NJ 3:37:31 Diskin finished 1st women (out of 3) and 49th overall in the race 1976 ALI FATIMA/PHILADELPHIA 3:59:58 Fatima finished 42nd overall (105 starters) and only women to finish.